I don’t know about you but I think I need a breather from all the news. 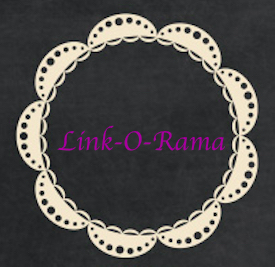 So in case you wanted some fun distraction how about bookish links? Here are some things I’ve been digging – I hope you will too. Do you use bookplates? I love the idea of them but I’ve never used them. If you love bookplates or are curious to see more check out some lovely examples of Vintage Bookplates. I’m not very familiar with Paul Klee’s work but how cool is this, you can now see his personal notebooks. I love seeing the creative process. Did you know that February is letter writing month? Get some ideas from InCoWriMo 2017 (International Correspondence Writing Month) on how to participate. If Winter is getting you down and you are thinking of travels, how about a literary vacation? Take the quiz and find out where you should head to. According to the quiz I should head to Scotland. Hmm, funny enough my next mystery book does have a Scottish setting! And, speaking of mysteries, the Edgar’s have been announced. Have you read any on the list of nominated books? I read Unbecoming last year and thought it was a good read. Not my favorite mystery of the year but still a good one. Let me know what you are up to this weekend. More book talk soon! I haven’t read any of the Edgar nommed books, but I did recently finish one which won one in the 1950s, Margaret Millar’s The Beast in View. I’m enjoying her books, which seem rather modern in some ways (with their emphasis on psychology, their reliance upon women being as complicated as men, as deserving of centre stage on and off the page) but of course there are also niggling bits. I can see why this one won the award, but it wouldn’t be so shocking nowadays.